0:01 - Again, no "My name is Oliver Queen" intro this week. 0:02 - Long flashback this week. 0:03 - Epic level Flynning there, Ollie. 0:07 - Not really a surprise, but a welcome sight nonetheless. 0:11 - And we have a title line! 0:14 - Hey? @AgentsOfSHIELD creators? 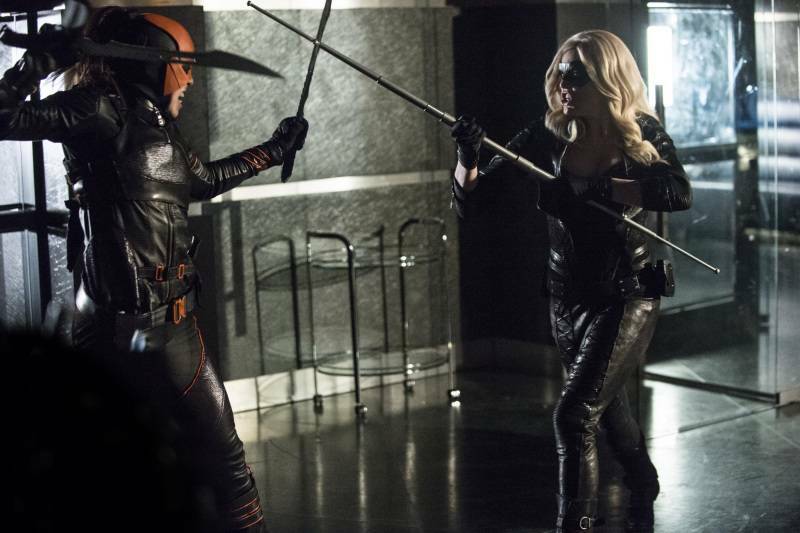 Turn on #Arrow and see how a season finale should be done. 0:34 - Roy using a bow. Awesome. 0:38 - The one downside to this episode is I'm sure someone is going to be fridged. It's just a question of who. 0:45 - Damn good fight scene here! 0:49 - Nice little nod to Kevin Smith's #GreenArrow run with #TheFlash trailer. 0:53 - I'm not happy about this but at least the naysayers were wrong about one thing. 0:54 - No! NOO! NOOOOOOOO! 0:55 - Double no! DO NOT WANT! 0:56 - Saw that coming, sadly. 0:59 - Yep. There it is. Another fakeout for the shippers.